39 presenters, 39 presentations, 300 minutes of sharing knowledge and experience and 200 minutes of entertainment for over 800 attendees from business, government and academic circles. 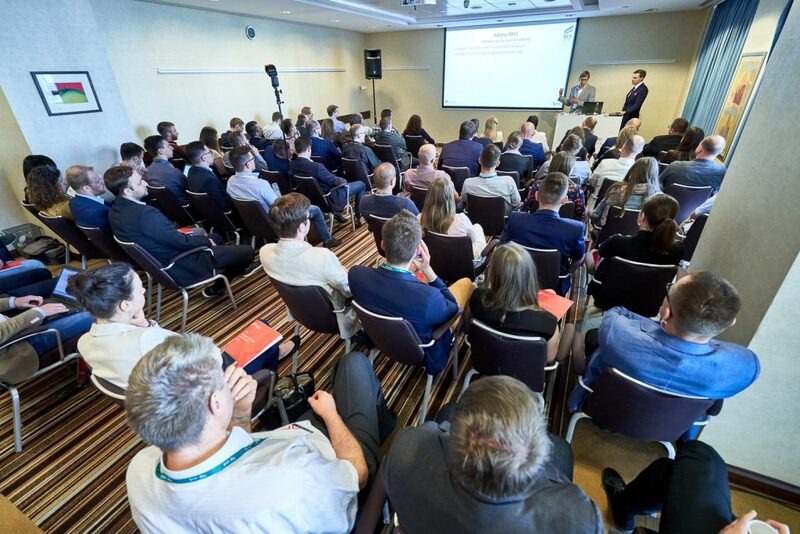 One SAS Team from Poland organised the 24th edition of the most important meeting of experts, practitioners and users of business analytics - SAS Forum Poland 2018. “Navigate Change with Analytics” was the motto of the conference that took place on May 21st, at the Warsaw Hilton Hotel. We live in a world of analytics, surrounded by data hidden in products and services we use every day. The analytic transformation we all experience has an effect on everyone’s security and comfort of life, and on who we are. 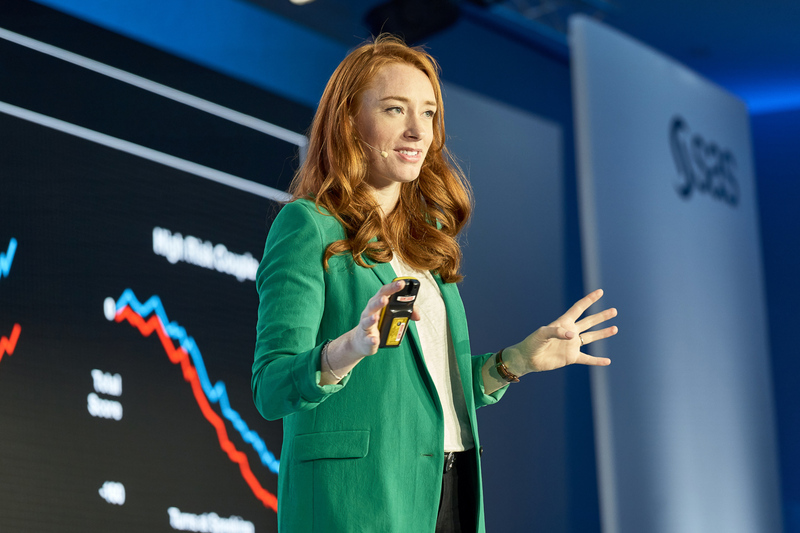 At the plenary session of SAS Forum, Dr Hannah Fry from University College London, the special guest of this year’s SAS Forum, explained the scope and accuracy of insight that analytics can extract from data describing our behaviors, emotions, concerns and expectations. We are both witnesses and participants of the process of change through digital revolution. During parallel sessions, experiences in the areas of fraud detection, risk analysis and compliance as well as customer relationship management were discussed. The examples of practical application were presented by representatives of the biggest Polish organizations: Ministry of Finance, Insurance Guarantee Fund (UFG), PZU SA and PKO Bank Polski. The “Trends and Inspirations” session included discussion about the impact of AI on the world of business and a presentation of innovative applications of advanced analytics. During dedicated session, the complete analytical cycle executed in SAS tools was showcased – from forming a business hypothesis to modelling and to the operational application of the analysis results to support the decision making process. We hope to see you next year in May in Warsaw. It will be our 25th SAS Forum full of analytical surprises and entertainment for our guests, so stay tuned. 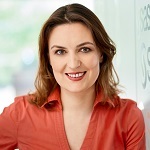 Joanna joined SAS Poland in April 2018 as the Marketing Manager. Joanna has over 10 years of experience in the area of marketing, communication, GTM, lead generation and events. From the beginning of her career she has been working in new technologies field for such companies as Jabra, Epicor Software, Enigma, Sabre Holdings, Polycom. For the last 6 years she has been working as the Manager of Communication and Campaigns Unit for Integrated Solutions (a subsidiary of Orange) - in the team that was introducing this company to the Polish market. She was also supporting Key and Corporate Accounts Sales Division in Orange Poland. She graduated from linguistics & culture studies at the University of Warsaw. Privately, a mother of two teenagers. Passionate about new technologies, sport and expeditions into the unknown.